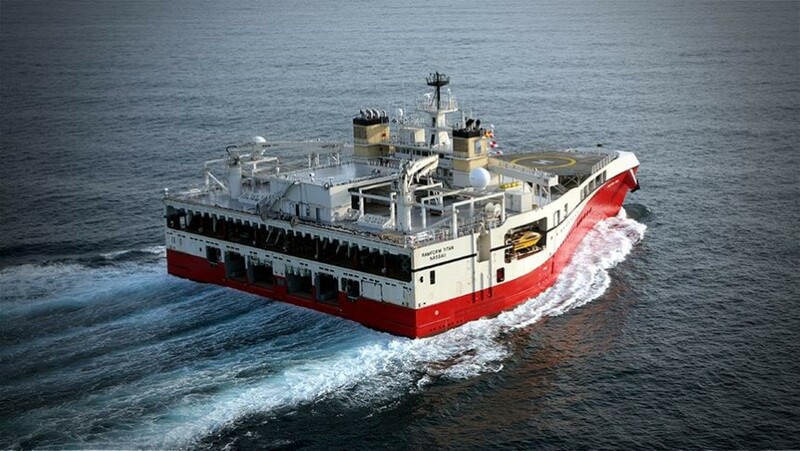 Podgorica, (MINA-BUSINESS) – The Hydrocarbons Administration says that, after a successful testing and calibration of the equipment, Norway’s PGS has launched the 3D geophysical imaging of offshore blocks 30 and 26 for Energean as a concessionaire in this project. The Administration says in a press release that the imaging started 30 minutes after midnight. “Weather permitting, the geophysical imaging will take eight days,” the press release says. The Hydrocarbons Administration reminds that the ship Ramform Titan carried out the preparations for data gathering between 7 and 9 November. “This was followed by calibration and final testing of the equipment as an introduction to the beginning of 3D geophysical imaging,” the Hydrocarbon Administration says. The press release says that Ramform Titan, which arrived in Montenegro’s territorial waters on Wednesday, was accompanied by two supporting ships – Sanco Sea and Thor Freya. The Hydrocarbon Administration says that all environmental protection measures and monitoring of the environmental parameters will be in line with the Environmental Impact Study adopted by the Nature and Environmental Protection Agency.